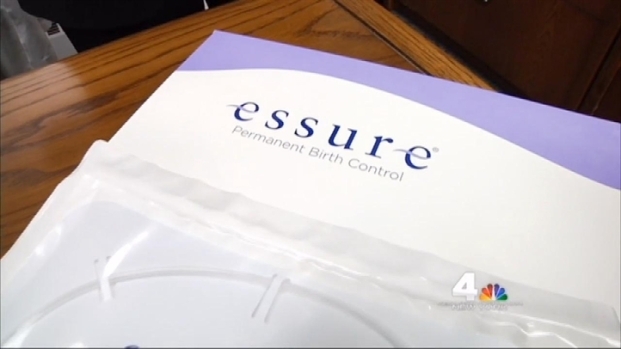 Federal regulators said they will hold a public meeting to "discuss scientific data regarding Essure’s safety and effectiveness," a review that comes after the I-Team uncovered inconsistencies in a clinical trial survey used to win FDA approval for the birth control device. Essure is intended to be a permanent way to block pregnancy. The device, approved by regulators in 2002, consists of two metal coils that are inserted into a woman’s fallopian tubes in order to create a permanent barrier to conception. Since its approval, the FDA has collected more than 5,000 reports of medical problems associated with Essure, mostly abdominal pain, headaches, fatigue and weight fluctuations. In more than 400 instances, patients or doctors reported Essure coils migrated from the fallopian tubes to unintended parts of the reproductive system. In five reported cases, fetal deaths occurred after Essure failed to prevent pregnancy. The makers of Essure have said more than 750,000 women have been implanted with the device, which would amount to about one report of complications for every 150 patients. A participant in a clinical trial for the birth control device Essure -- which some women have complained causes them pain and unexplained symptoms -- is now criticizing the way doctors conducted the studies that later formed an application for its FDA approval. Chris Glorioso reports. 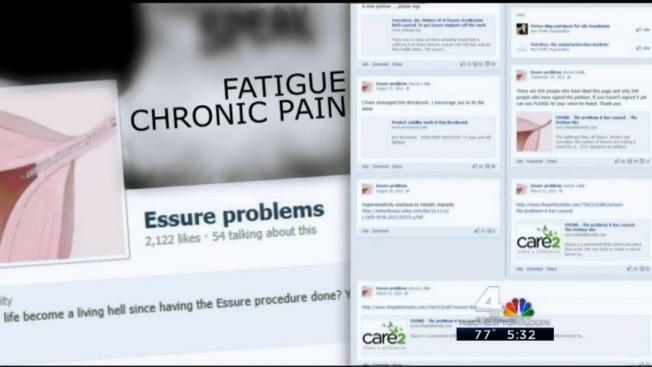 In 2013, the I-Team obtained records showing Kim Hudak, an Essure clinical trial patient, reported pelvic discomfort or pain seven times during eight years of follow-up surveys. Despite those reports, clinical trial researchers repeatedly marked Hudak’s comfort level as "excellent." At the end of the clinical trial, researchers for a company called Conceptus, the manufacturer of Essure, reported results indicating 99 percent of the patients rated their comfort as good or excellent. In 2012, Bayer Healthcare bought Conceptus and the rights to manufacture and sell Essure. Tara DiFlumeri, a Bayer spokeswoman, sent the I-Team a statement saying the safety research behind Essure is solid. "The only FDA-approved non-surgical option for women who have completed their families and want permanent contraception, Essure is supported by more than a decade of science and real world clinical experience,” DiFlumeri wrote. The FDA said in a statement on its website that its review of the birth control device will consist of "a public meeting of the Obstetrics and Gynecology Devices Panel on September 24, 2015,” where regulators will invite "feedback from presenters, panel members and the public to inform recommendations and next steps about Essure." In its statement, Bayer welcomed the new scrutiny. Some women who have a permanent birth control device called Essure say it has ravaged their reproductive systems, leaving them with scars, pain and years of unexplained symptoms. Chris Glorioso reports. "Patient safety is Bayer’s top priority. Given there has been a great deal of interest in the safety of Essure among some patients, we welcome this open dialogue with healthcare providers, patients, researchers, representatives from professional societies, and other members of the public to review and discuss available data regarding the benefits and risks associated with Essure."